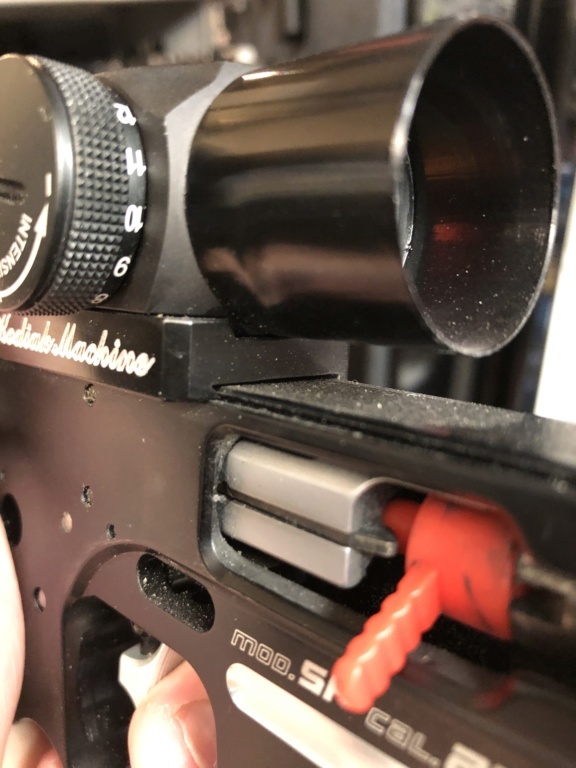 I thought these photos might be helpful for others who are installing a Kodiak mount on their 1911 rail for the first time. Most people buy it with the Standard mount (Weaver/Picatinny). Optics planet the mount version priced only $14 more than the one with out the mount. The Aimpoint mount MAY work loose on slide mount .45's. I know of a couple that have never been off since they were put on and have had no issues. I thought I understood how the Kodiak mount worked, but LenV noticed things I never noticed earlier - if you read the discussion, you'll see what I mean. Anyway, can you please explain the purpose of the two set screws? I know Kodiak offers a mount for the H1 on a Pardini. Has anyone modified the factory H1 base to get it to fit a Pardini rail? Anyone have a "not being used" H1 standard base which I could acquire from them to experiment with? Actually, may need two. My H1 bas will not work on my Marvel either, as it rubs the slide. I have had to remove material from under side of other mounts to clear the slide on Marvel's. Allgoodhits wrote: I know Kodiak offers a mount for the H1 on a Pardini. Has anyone modified the factory H1 base to get it to fit a Pardini rail? Anyone have a "not being used" H1 standard base which I could acquire from them to experiment with? Actually, may need two. My H1 bas will not work on my Marvel either, as it rubs the slide. I have had to remove material from under side of other mounts to clear the slide on Marvel's. The Pardini or Kodiak base that fits directly on the frame of the SP/SP Bullseye is very different from the weaver/pic style base (not even close). I have two Pardini .22s. I think they are referred to as SP New. One is serial 81xx the other 91xx. 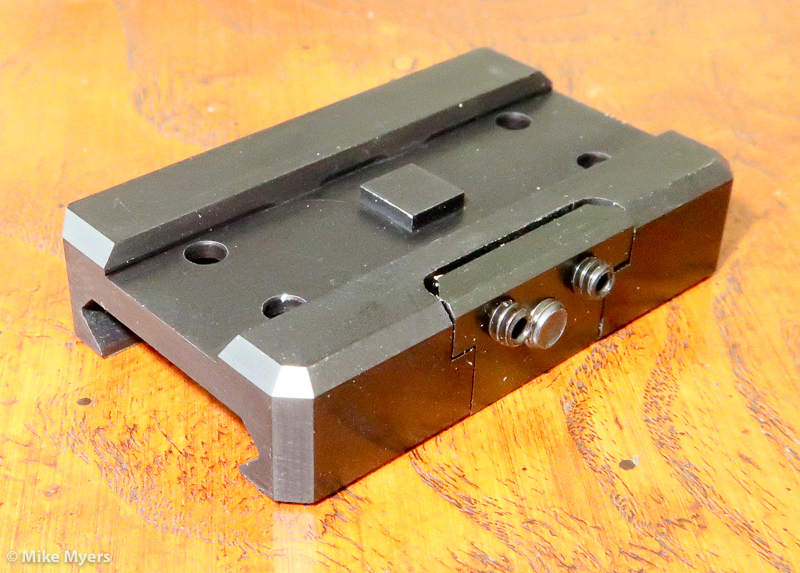 They have a shallow rail or groove milled into the receiver. 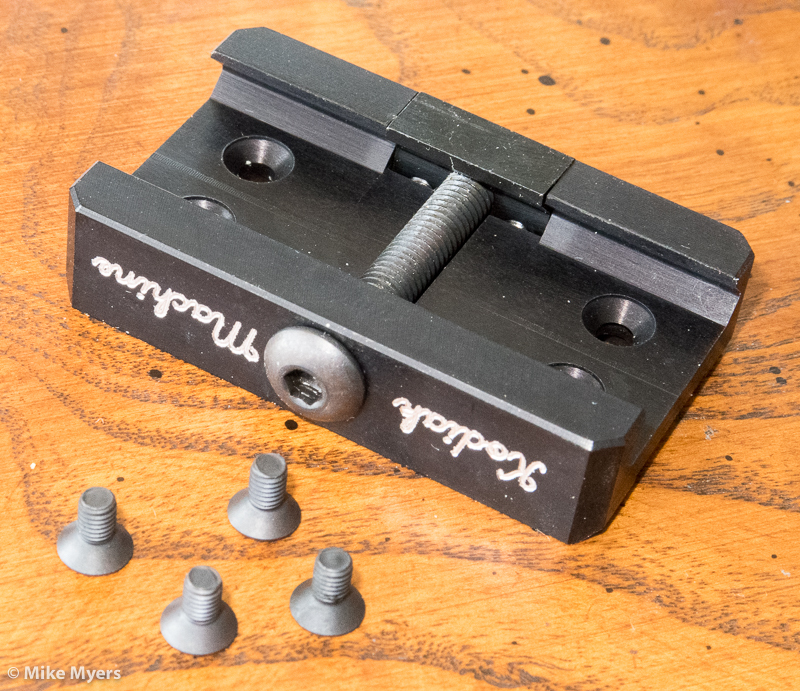 Some scope bases will fit into the groove and hold firmly. Some mounts have to be filed on the bottom, to create a "sharper" edge to get far enough into the rail groove to hold on. I only have knowledge of the above two guns. Is what I describe similar to the Pardinis you are referring to? If yes, then will the Kodiak "Pardini" base fit those guns without modifications? 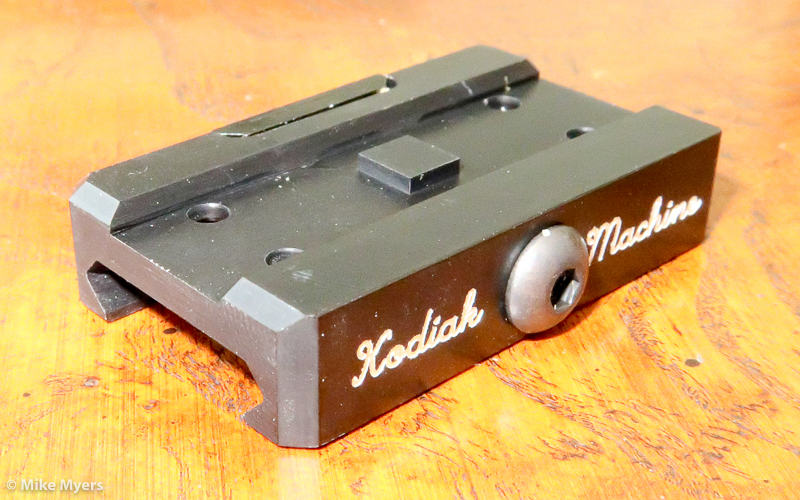 Will my Pardinis with the factory rail or groove accommodate the regular Kodiak 1911 mount? I have two Pardini .22s. I think they are referred to as SP New. One is serial 81xx the other 91xx. They have a shallow rail milled into the receiver. Some scope bases will fit into the groove and hold firmly. 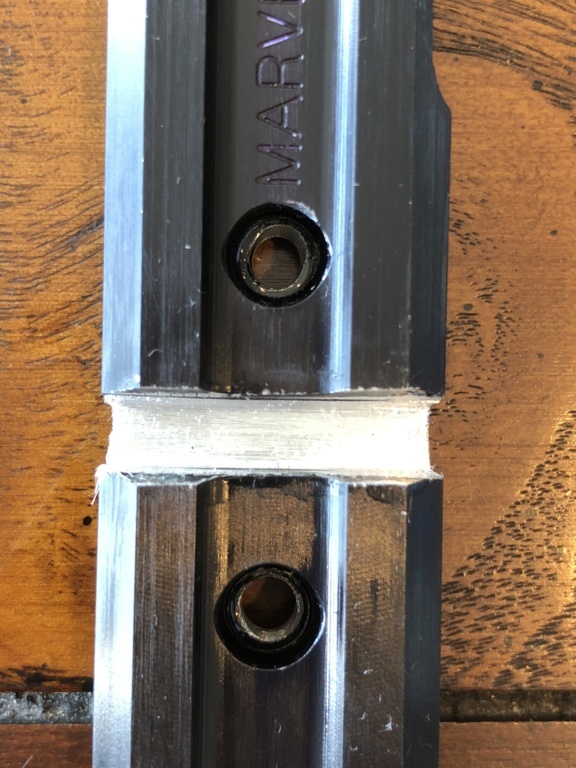 Some mounts have to be filed on the bottom, to create a "sharper" edge to get far enough into the rail groove to hold on. I only have knowledge of the above two guns. Is what describe similar to the Pardinis you are referring to? If yes, then will the Kodiak base fit those guns without modifications? I have an SP 6" New, same frame as yours. The Kodiak base for the Pardini, fits flush on the top rail and is designed with no through bolt. The stock H1 base would have to be made wide enough to fit over the frame/receiver, you would need a longer through bolt. I'm sure you could mod it to fit but in the end you would have a mount that sits +1/8" off the frame and the clamping force would quite a bit less. KC carries the Kodiak bases but I see they are out of stock. Thank you. I was aware of the multiple month back order. One of the reasons for inquiry. They keep the lock piece straight and centered vertically so you can not cant the lock piece like you can on the OEM mount. Thanks; I was completely wrong. Now that you wrote that, it makes sense to me. kc.crawford.7 wrote: They keep the lock piece straight and centered vertically so you can not cant the lock piece like you can on the OEM mount. Chiming in on this older thread with a couple more observations. I got one of these from KC a long ways back but only switched over to using it recently. I'm using the standard rail-mount model. - Longer, more stable "sled" on the rail, with wider triangle between center lock piece and the two opposite corner points. When tightening the mount, I find that very little force is required. I slide it into place, back off the two setscrews, tighten the through-bolt to "just snug", then tighten the setscrews. 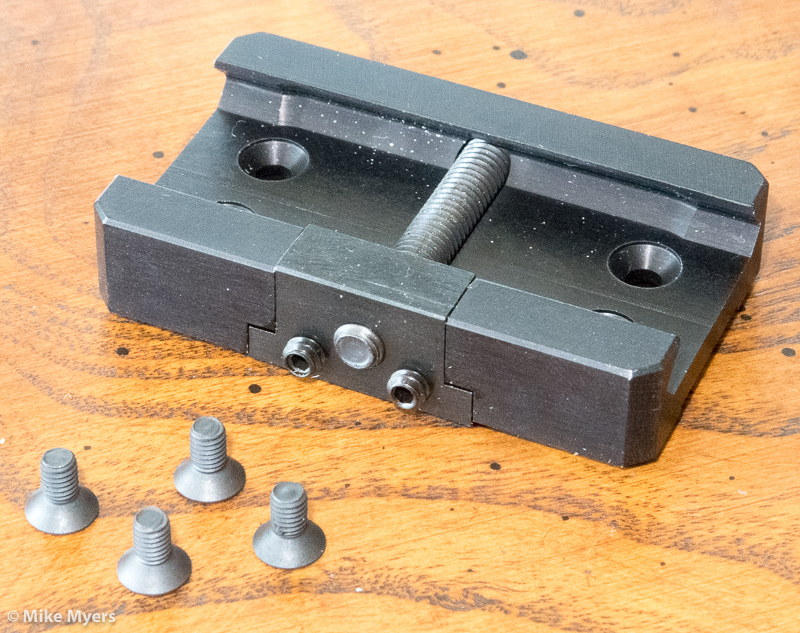 This tilts the lock piece tightly under the rail, and the angle also locks in the through-bolt. Very nice. I just moved mine from the gun Initially installed it on, to another 1911. Second time around was easy. I gave Dave Salyer the information from KC as to how large the "notch" needs to be. I sighted in the gun this morning; things went well. When I got home, and was looking over the gun, it seemed to me that the sight wasn't sitting "square" on the gun - it looked like it was leaning to the left. I loosened the screws, and tightened things down again, tightening the large screw first, and finally the two set screws. I'm much too sensitive to things that are "off" somehow, spaced wrong, or at an angle. When I look at the back of my gun, things don't line up the way I would have expected. Chances are all of this is irrelevant, and the sight will work perfectly anyway. Still, to me, it looks like something, somewhere, isn't lined up the way it should be - and chances are, there's nothing I can do about it. The Kodiak should be sitting flat on top of the rail. 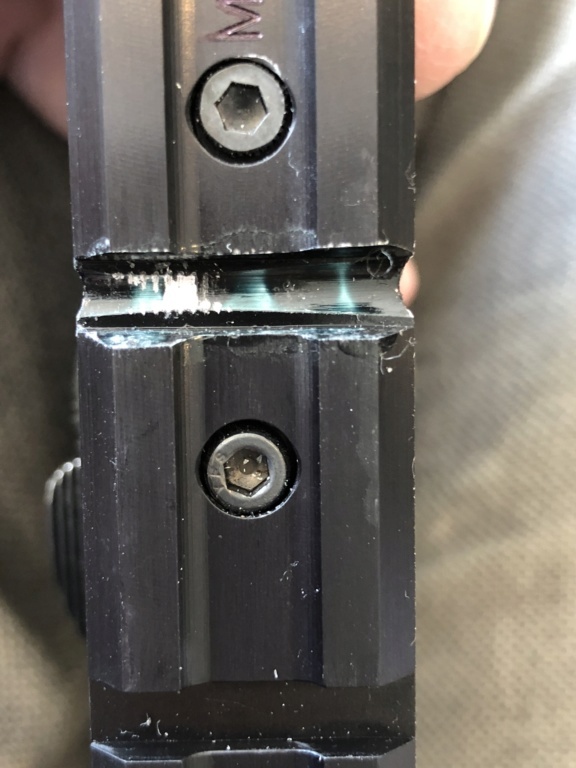 Maybe the rail's slot isn't deep enough, and the through-bolt is hitting it, pushing the sight up? Remove the sight and look for telltale screw thread marks at the bottom of the slot. Mine did this on my Weaver base, but it clears the Picatinny just fine. Thanks; that's the plan. Will remove the screw and see if it fits flat. If so, I'll look for the thread marks. A file should take care of it quickly, but I've got to tape things up so any metal shavings don't go where they shouldn't. The rail looks to be at least twice as tall as it needs to be for one thing, and the Aimpoint is shifted too far to the left. I'm not familiar with the rail, Kodiak base, or Aimpoint, so I have no idea what you could do about it, but being a machinist, (and OCD) I'd be making some new parts for sure! DA/SA wrote: The rail looks to be at least twice as tall as it needs to be for one thing, and the Aimpoint is shifted too far to the left. I expect when I file the notch a little deeper, the Aimpoint will settle down and no longer be tilted towards the left. Regarding the height, are you aware that " the Marvel base (which I have) must be higher at the back to be parallel with the barrel when the gun is closed. The barrel points downward one degree and about 19 minutes." I'll ask Jon about this, and if they are in stock, order one or two of his rails. Given my choice of where to buy from, Jon and KC are at the top of my list. Thanks for the suggestion. Removed the Kodiak, and found where the three screws were hitting the notch, so the notch needs to be opened up. For those of you who do things like this, do I remove the rail from the gun first, or do it in place? Ouch, that needs a lot of work. Wider and deeper both, and must be perfectly square. Are you sure you want to do this with a file? Definitely take it off the gun. It will be replaced with one of Jon's rails, once he can ship. So for now, yeah - my "machine shop" isn't. If you have to ask that question, you need to have someone else do it. Just sayin'. Okie dokie. In that case, also be sure the top of the rail is perfectly flat, no curled ridges at the edge of the slot. Remember, the Kodiak's underside needs to ride directly on it for its full 2-inch length. I had something like this last year - used a round file, and made a mess. So this time I removed the rail (thanks for the suggestion!!! ), put it in a vice with aluminum jaw covers, and used a flat file until the sides were square, and the bottom looked uniform. nest step is to see if it works! I absolutely agree with you. I have never (until today) removed a rail from a 1911. I have never taken one apart all the way, and re-assembled it. One thing I have learned though, is it's better to look like an idiot and ask what apparently is a simple question, than to not ask, only to learn later on that I messed up. .........anything is easy, once you know how to do it. Thanks! That's just me - I like to be sure, even when I'm mostly sure. And even if I look even stupider now, it really was a question, and while I guessed I should remove the rail, I wasn't sure. -TT- wrote: Okie dokie. In that case, also be sure the top of the rail is perfectly flat, no curled ridges at the edge of the slot. Remember, the Kodiak's underside needs to ride directly on it for its full 2-inch length. Yep, top of the rail was flat and smooth, and I could slide the Kodiak back and forth smoothly and easily. I was worried about burrs, but there weren't any. And everything got flushed with WD40, then a clean rag, so there was no debris left behind.